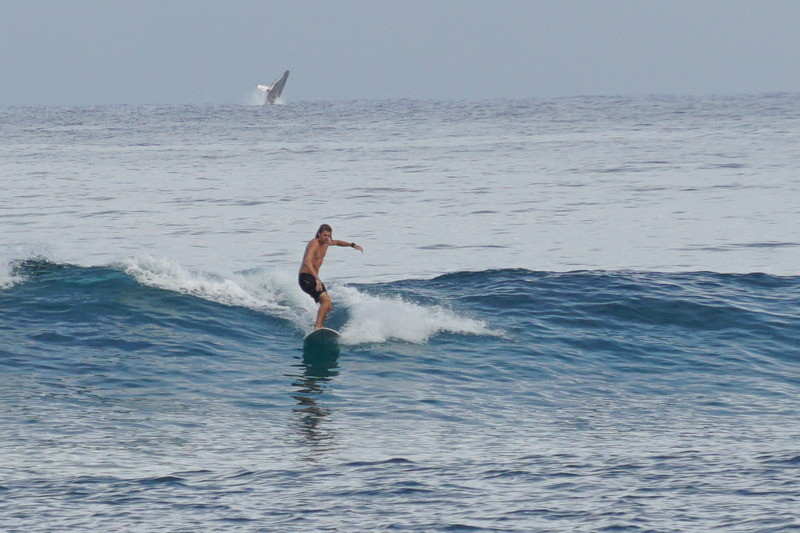 Look at this lucky shot I took of a surfer and a humpback. We are off the road and in Florida. It’s not that we haven’t been traveling, just a different kind, by plane, like my recent trip to Hawaii. I had been seeing humpbacks breaching all week, but they are hard to catch mid air…unless you don’t try. It wasn’t until I looked at this photo of a surfer on the computer that I realized I had finally captured the whale too. Unfortunately, this type of travel doesn’t really fit the road trip motif I started with The Red Road Diaries. After 10 years on the red roads we have sold the motor home and bought a fifth wheel that we are leaving in New Hampshire. Our future “road trips” will be making the trek north as soon as the heat starts here in Florida, and heading back in October. As such, I think it is time to close down the Red Road Diaries blog and move on to some new things. I have so enjoyed all the new friends I made on this journey and having all of you travel along with us. Although I have not been posting much lately, I don’t feel too guilty because I have been busy culling out the best posts and photos from all our trips, adding some new material and putting it all into a two-book series, Volume one of which has been published on Amazon and iBooks. Many of you may not have followed along since the beginning and may want to catch up and do some armchair traveling. Or, if you are thinking about an RV or camper in your future, you may enjoy all the helpful hints and resources offered up in it. 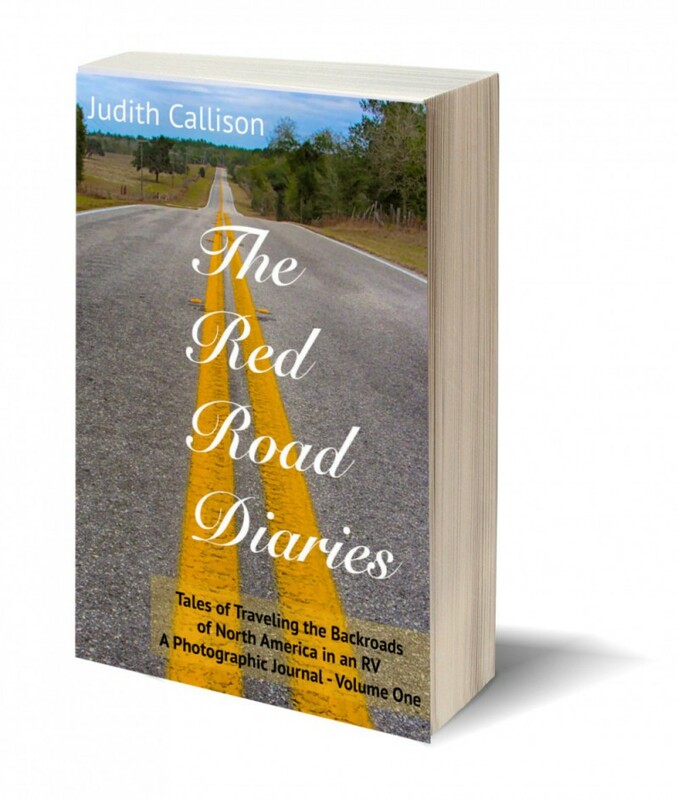 You can check in on my website JudithCallison.com to find out what’s new with the books and how to download a free sample; Volume Two should be ready in a month or two. I started a new blog there as well. we’ll see where that goes.